One of the best view in the Islander Villas! Beautiful 4 bedroom and 4 bathroom condo with unobstructed ocean views. Middle floor location allows shade for morning coffee or evening cocktails with plenty of seating on the deck. Access to the Islander Resort Beach Club with oceanfront swimming pool and tiki bar, tennis courts, and oceanfront restaurant. 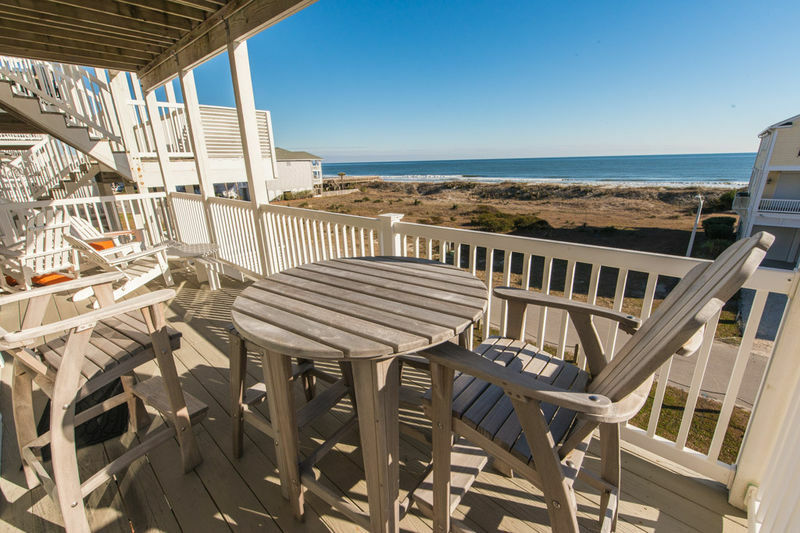 Just steps away from the oceanfront resort pool and the beach! Enjoy luxurious bedding; the master and mini-suite bedrooms have premium memory foam bed toppers and master bath includes a Jacuzzi tub. Living areas are tastefully and comfortably furnished. Updated furnishings, bedding and new plantations shutters for 2018. New stainless steel kitchen appliances, new coffee maker, and a Keurig for 2019. Additional amenities include: elevator access, covered parking, 9 ft. ceilings, wireless internet, fully equipped kitchen with island and barstools for extra seating, dishwasher, microwave, washer and dryer, Smart TVs in all rooms, DVD player, and a wet bar. Other amenities include outdoor eating area, keyless entry, booster seat, and a pack 'n play. This outstanding villa is located within the Islander Resort on the exclusive West End of Ocean Isle Beach. Non Smoking. No pets. Sleeps 14. Bed Description: Queen, Queen, 2 Doubles, 2 Doubles, Queen Sleeper Sofa in the living room. New 2019 All Linens Included!